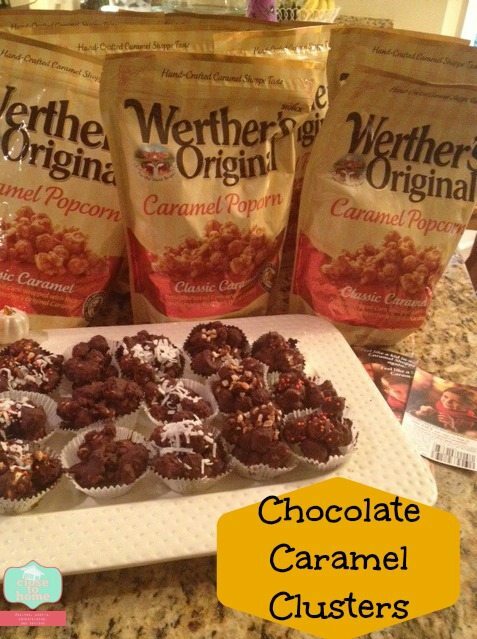 Our movie party featuring Werther's original caramel popcorn. 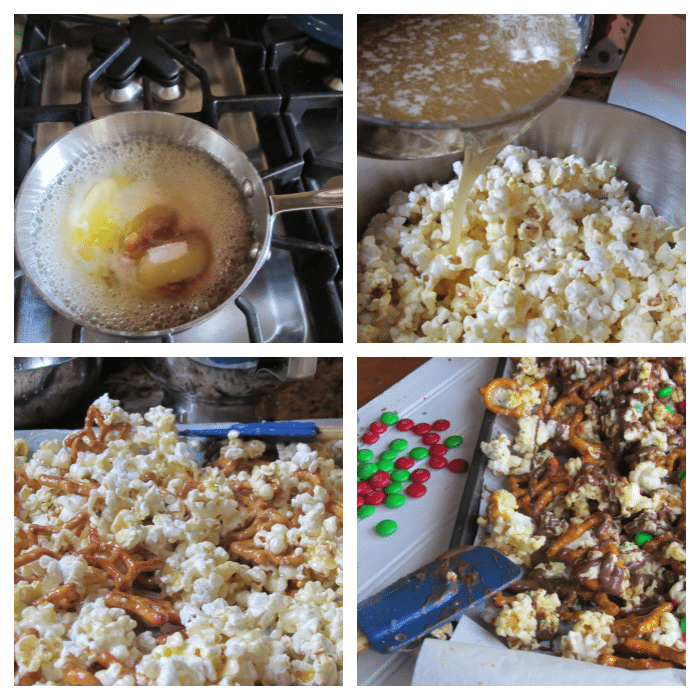 This Munch and Movie party post is sponsored by Werther’s Original Caramel Popcorn and MommyParties. I received free product to facilitate this party. All the opinions expressed are 100% my own. I was planning on having my Daughter’s Soccer team over one evening after their Columbus Day Tournament to have the girls spend some time together off the field and to chill after a long weekend of rainy soccer (did not know the rainy party obviously) What a better theme than to have 12 tweens over for a Munch and Movie party. Mommy party supplied the Werther’s Original Caramel Popcorn, a new food item for them and the great family movie Soul Surfer. Little did I know that we would not only have the best record we have had in a tournament but actually come in first place. This truly was a reason to celebrate. We started the evening off with fun little games while we waited for everyone to arrive and start the pizza and movie. 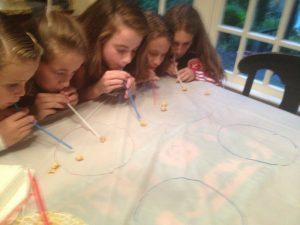 The girls had fun blowing kernels of Werther’s Original Caramel popcorn across the table. They had a surprising amount of energy considering how much soccer they just endured. Since the party was at night and my attempts of keeping it low key per my daughter’s request, we did not play any other games. Food was really the focus of this party. I forgot how much fun it was to feed tween girls. After my own heart some chocolate and some caramel corn, who knew would be such a hit. They were eating them before we even had our dinner. 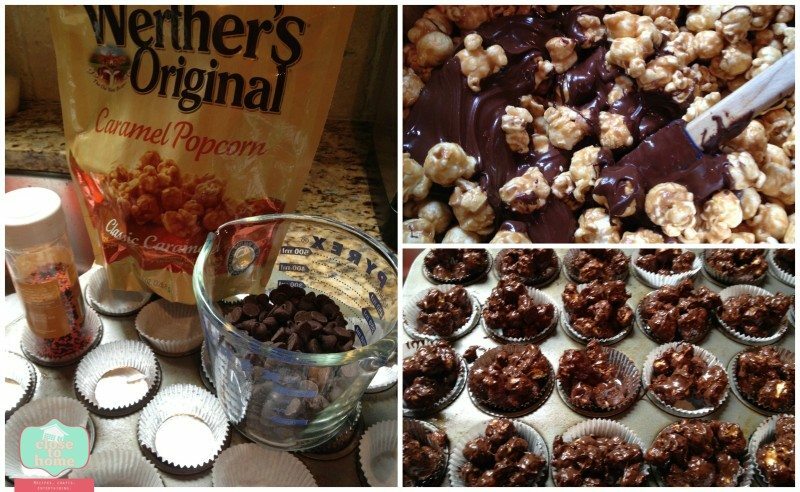 Chocolate Caramel Clusters, are such an easy treat to make all year round. They are easy to customize to the flavors you prefer. I made 4 different varieties with just one simple recipe. I kept some of the clusters plain, some with Halloween sprinkles, some with nuts, some with coconuts and some with everything. No one really said they had a preference they were just eaten!! I thought Soul Surfer was such a great movie for a bunch of female athletes to watch and to remember they can overcome a lot. Each child was able to bring home their own bag of Werther’s Original Caramel Popcorn and several moms commented that they had seen the commercial but excited to try the popcorn for themselves. BTW my husband stole a few bags while I was out-of-town and kept asking me, “how many bags do you need for this party”. He really thought the popcorn was tasty. Place spoonfuls of the mixture in the muffin tins and decorate with toppings. Refrigerate for 20-25 mins or until set. What is your favorite Werther’s Product? they were an amazing combination and would make great gifts for Thanksgiving or Christmas. those look soo good!pop and chocolate is always a good combination! thanks the girls gobbled up these popcorn treats before dinner!! I may have to make these in the near future.